Outfits that will fit 18-inch American Girl, 18-inch Corolle, 18-inch Gotz Precious Day Girl Dolls, and similar dolls. Here is the pattern for the scrub pants for 18 inch dolls. Here are the pattern pieces for the scrub suit top for 18 inch dolls. Do you have some old clothes that are still in good condition, but you won't ever wear them again? Make doll clothes! Upon entering the store my daughter immediately said "you're in heaven, aren't you?" And I was. What a lovely thing to walk into a store and be surrounded by beautiful dolls everywhere you look! Spring or Easter dress to fit 18 inch American Girl, Corolle, Gotz Precious Day Girl and similar size dolls. In a box of discarded and unwanted dolls I found a diamond in the rough! In this article I give the measurements for my "new" doll and start to make a new pair of bloomers for her. This is a quick and easy project which requires a very small amount of yarn to complete. If you have yarn left over from another project this is an excellent way to use it up. This crocheted vest is a companion to the crocheted skirt for 18 inch dolls. It requires a very small amount of yarn and is a great way to use up a little yarn you may have left from another project. With the Spring wedding season soon upon us, your doll would love to be dressed as one of the wedding party. If you have a little flower girl in your family it would be a particularly lovely idea to make a dress for her doll to match hers. I have updated some of the information about making Halloween costumes for American Girl type dolls, so this article is full of ideas for dressing your 18 inch doll for this fun holiday. When making doll clothes, socks and booties are necessary to complete an adorable outfit for your baby dolls. In an earlier article I wrote about a crocheted pattern for doll booties, for those of you who prefer to knit, here is a pattern for knitted booties. Check here for patterns to fit slender 18 inch dolls. This is a simple, basic pattern which can be made into a slip, or, with a little imagination it can be a summer dress, a prom dress or even a nightgown. I've been wanting to try my hand at making doll shoes for some time. What I came up with, after a lot of trial and error, is very simple and doesn't require any expensive supplies. Sewing instructions for bloomers for American Girl type dolls. 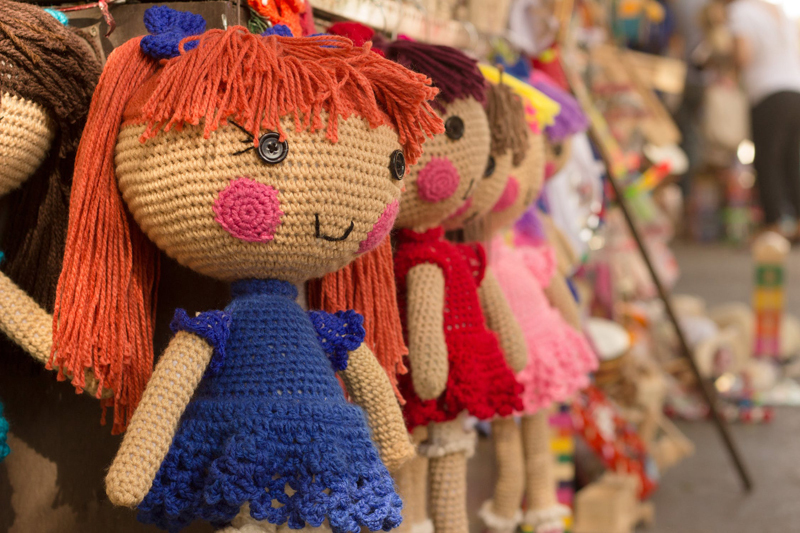 This article includes how to adapt the pattern for any size doll. How to sew Spring Holiday dresses with this pattern for American Girl, other American historical dolls, Corolle dolls, Gotz Precious Day Girl Dolls, and dolls with similar body types. Here is a pattern for a Spring dress that will fit American Girl type dolls.